Aberdeen University has unveiled plans to offer scholarships to refugees who have escaped war torn countries to live in the UK. The university will fund a new Shining Lights Scholarship scheme to help migrants take up undergraduate and postgraduate places. The funding will initially be offered to four refugees who have come to live in the city, and will cover tuition fees, year-round accommodation and support for living costs. The news comes just days after the city council announced it would take in 100 refugees fleeing the ongoing conflict in Syria. Aberdeenshire Council will also take in 50. 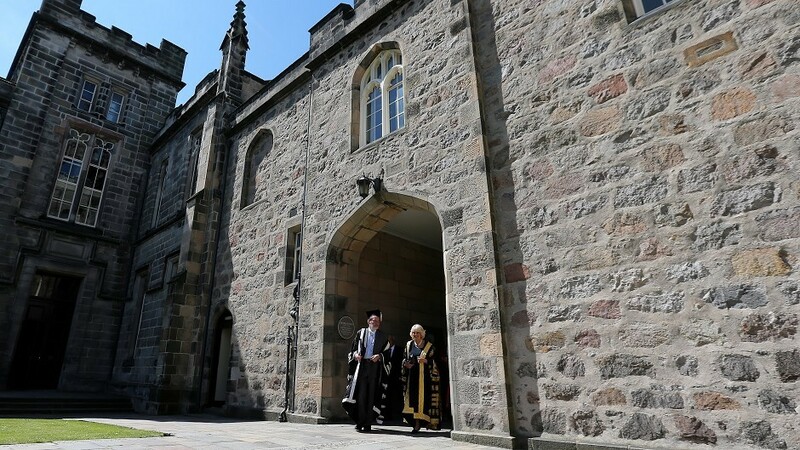 Professor Sir Ian Diamond, principal and vice-chancellor of the university, said: “This university has always opened its doors to the world. “Today we all benefit from a diverse multinational student and staff community of 120 nationalities, united in a quest for excellence in learning, teaching and research, and for making a real difference to the world. “Our community of students and staff has been shocked and saddened over recent months by the plight of those fleeing violence and repression, and we want to do something practical to help. “Access to higher education is vital, not only in benefiting the individual student, but in influencing thinking and aspiration, and in changing society. The involvement of the Aberdeen University Students Association has been vital in launching the new scholarships. Laura Cristea, president for ethics and environment, said “We are very excited to welcome refugees into our family of students and prove our solidarity through education.